76ers return from four-game West Coast trip to host Toronto Tuesday. Written by NBA Expert Betting Analyst Greg Nelson. Charliessports.com produces it for Basketball Betting. NBA ATS Daily Picks are the best in the industry and will continue through the March Madness Finals in April of 2019. We’re always providing BETTOR Friendly cards. Our signature 500* premium ATS Predictions are unreal & I promise you won’t regret purchasing, cash in Daily. 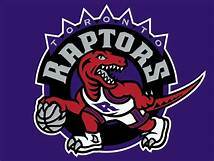 The (38-16) SU, (24-30) ATS Toronto Raptors beat the Los Angeles Clippers 121-103 as 9 point home FAVORITES ATS on Super Bowl Sunday. Toronto looked impressive without point guard Kyle Lowry in the lineup Sunday, and he along with Center Toronto Raptors are listed as doubtful tonight. With less than two weeks until the All-Star break, Toronto is two games Milwaukee for the best record in the East. Toronto is 1-4 AGAINST THE SPREAD their last five on the road. The UNDER is 6-4 Toronto last ten overall. Toronto is 12-4 ATS the previous sixteen between the teams. The (34-19) SU, (25-28) ATS Philadelphia 76ers lost to Sacramento 115-108 as 3 point road FAVORITES ATS in the finale of the four-game road trip. Philadelphia too down the Lakers and Golden State while they were out West but failed to finish strong. The win over the two times defending champion Warriors proved how good the 76ers could be when they play as a team. Philadelphia is 0-4 ATS their last four on Tuesday’s. The 76ers are 6-2 AGAINST THE SPREAD their last eight following an SU loss. OVER bettors have cashed in 7 of the previous eight between the teams in Philadelphia. The UNDER is 5-1 Philadelphia last six after an SU loss. 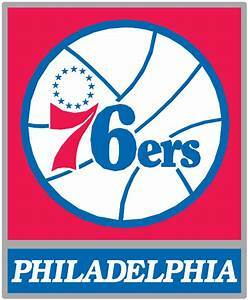 Tuesday’s game is 8:05 PM EST at Wells Fargo Center in Philadelphia, Pennsylvania. The TNT network will be broadcasting. The Betting Line has Philadelphia as 3 point home FAVORITES ATS. The TOTAL is 231′ points for Tuesday’s contest. The Toronto Raptors believe backup point guard Fred Van Vleet is doing an admirable job filling in for Kyle Lowry who missed six games in December and January with a back injury. Both are six foot which has caused Toronto problems in the postseason which has the organization leaving options open through the trade deadline. Toronto is 8-4 with Lowry out of the lineup but an impressive 16-11 SU on the road this season. Toronto averages (113.8) ppg but they’ve scored more than 120 points in two of the last meeting against Philadelphia. The Raptors shoot (47.4%) from the field which ranks ninth in the NBA. Leading scorer Kawhi Leonard (27.4 ppg, 7.9 RPG and 1.9 steals) is their best player, and if the franchise is to move forward, they must keep him in a Raptors uniform. Head coach Nick Nurse knows his team must play tight defense tonight to get a victory. The Raptors (110.5) ppg to the opposition on the road which is 12th, league-wide. This Sports handicapper understands the Toronto Raptors want to finish the first half of the season strong and they’re playing the 76ers for the final time in the 2018-19 regular season. With Lowry out Leonard and power forward Serge Ibaka must take the lead. Anytime you have young stars the caliber of Ben Simmons and Joel Embiid on your roster there’s a reason for optimism. However, head coach Brett Brown still looks for veteran leadership from JJ Reddick, Jimmy Butler, and Wilson Chandler. Reddick will play tonight, but Chandler is on the shelf with a quadricep injury until after the All-Star break. Philadelphia will play four of their next five at the Wells Fargo Center before their February 13 game in New York the last before the annual All-Star break. The (115.4) ppg the 76ers averages is the fourth league-wide while the (47.1%) field goal shooting ranks 8th in the NBA. Embiid (27.2) ppg and Simmons (8.1 assists per game) lead Philadelphia in all five major categories. After last seasons second-round playoff loss to Boston the organization decided they needed to be more robust and enter Jimmy Butler who was once homeless as a teenager. It’s been a rocky start as the alway’s critical Butler takes nothing for granted and wants maximum effort from the team each time they take the floor. Egos are going to get in the way, but they’ll reap the rewards sooner than later. The top team of sports handicappers at Charliessports.com has a free play on tonight’s contest. Bovada.Lv list the Philadelphia 76ers win total at 53′ games for 2018-19. Free Pick. 76ers-3 Points. Also Play Online Poker Plus Other Casino Games and enter some of the best Tournaments on the World Wide Web.